Insurgency, the excellent first person shooter developed by New World Interactive, has recently received a brand new World War 2 themed mod which represents a turning point for the game’s development, according to the team. 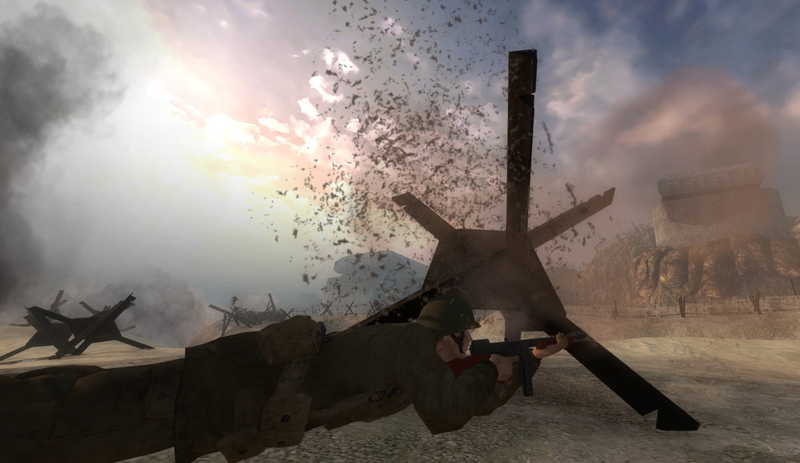 The new Insurgency mod is called Day of Infamy and it’s a total conversion of the game set during World War 2. An early build of the mod is now available for download through the Steam Workshop and it will eventually be completed with the help of the community. In order to play the current build of the Day of Infamy mod, players require the beta branch of Insurgency to be enabled. Two maps of the mod also require players to be subscribed to on Workshop – the Normandy invasion with “Dog Red” and the Battle of the Bulge with “Bastogne”. More information on the Insurgency Day of Infamy mod and how to play it can be found by going here. Insurgency is the sequel to Insurgency: Modern Infantry Combat, a total conversion mod for the Valve’s Source Engine. The game is an intense and highly competitive multiplayer experience which manages to find a balance between one-life gameplay and prolonged action. Insurgency is now available for purchase on Steam. An early build of the Day of Infamy mod is also available for download through the Steam Workshop.